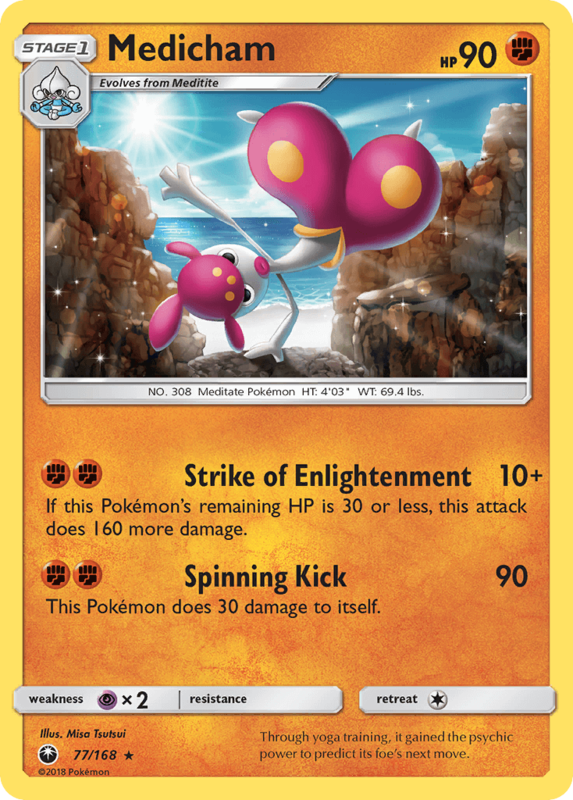 Expanded idea: This Medicham w/ Strong Energy + https://pkmncards.com/card/reuniclus-black-white-blw-57/. Able to knock out Buzzwole-GX and Lele in one hit, then transfer damage next turn. But Reuniclus isn’t available in standard, so you can’t shift the damage if Medicham was to take damage, though Hustle Belt is a good idea. There are only 2 damage movers in Standard 2019, and both can only move 1 per turn. This is why Reuniclus is so powerful in what it does, and why it’s only worth building in Expanded. Oh, lol. Well, I guess that would work in standard. Thanks!